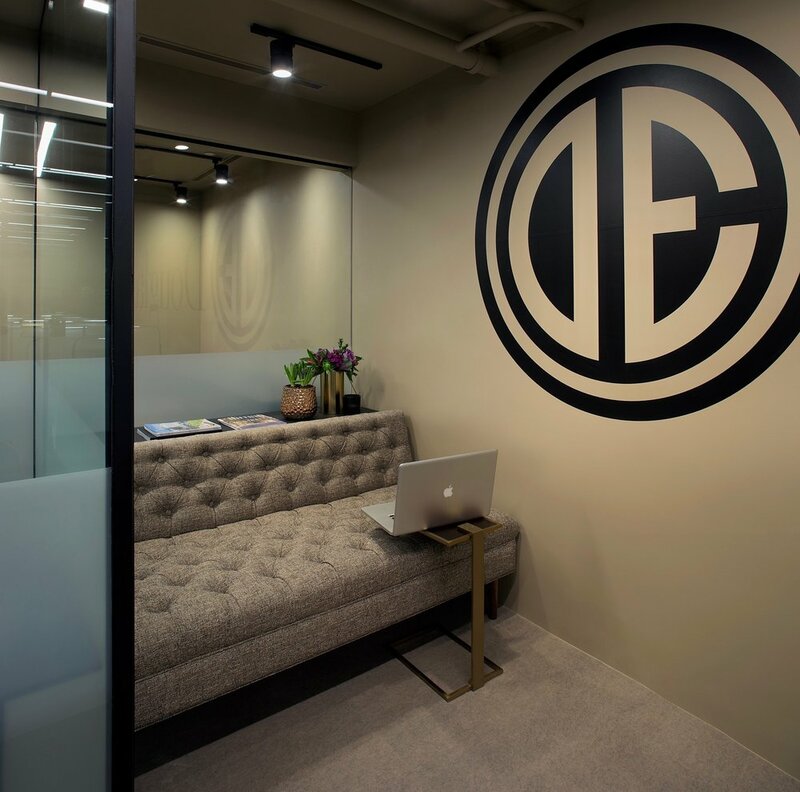 Location, location, location is what Douglas Elliman delivers on with its newest office positioned only a few steps from the Aspen Mountain Gondola. 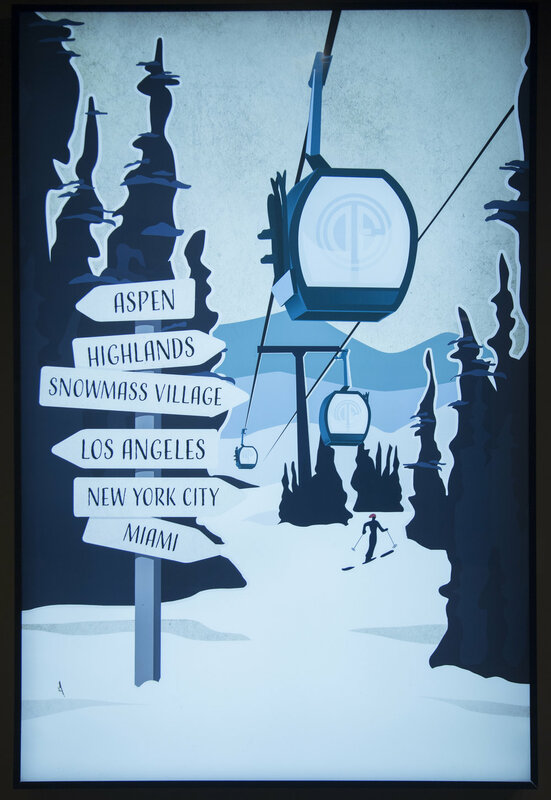 In Aspen, where visitors shop as intensely as they ski, the office conveniently lies at the intersection between luxury retail and the world-class Ajax Ski Mountain. Western Modern in design with the textural elegance of Aspen’s historic fabric. A walnut and cappuccino incased luxury retail office environment with smart technology, ergonomic workflow and interactive teaming. 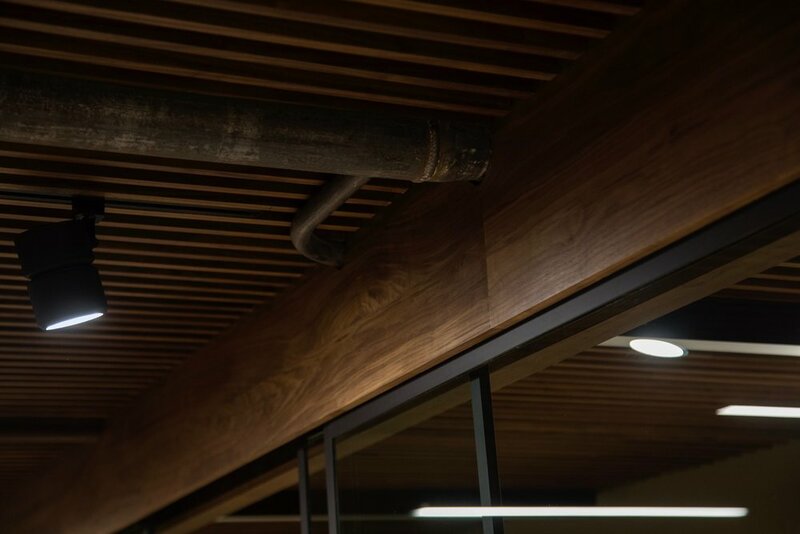 This sultry inspired posh interior of warm organic finishes, concrete suede floor, acoustical fin wood ceiling and waterfall design is surrounded by translucent star-fire glass and natural light. An inspiration of international materials and custom cabinetry, delivered, fitted and installed by local master tradesmen. Aspen’s newest location offers private teaming offices, visiting agents benching, reception soft seating, information technology, powder board storage and private conferencing that converts to a training lab. Douglas Elliman’s national footprint and cache branding is complemented by a design criteria specific to each locations native roots, trusted relationships and engrained culture. A personal touch that spans across markets and comfort zones. Created by award winning designer Kenneth J. Libman and facilitated by The Libman Group’s integrated design/build solution into a single source of "architects that build".